Acoustic Wednesday! Is your acoustic guitar ready? Did you turn that Marshall amplifier off already? 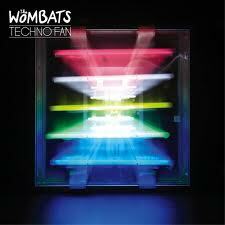 Today we go with an amazing acoustic version of the Wombat‘s song “Technofan” that was originally included in its rock version in their second album “This Modern Glitch” from 2011. We have passed Wednesday noon (at least this side of the ocean) it’s all downhill until the week-end. Calm down, relax, enjoy the ride.